kr creations: Online Card Class Giveaway! Happy Monday! I can't think of a better way to start off the week than having a giveaway! 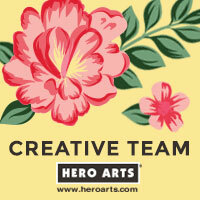 I'm so honored to be a part of another Online Card Class -- I know it will be amazing! 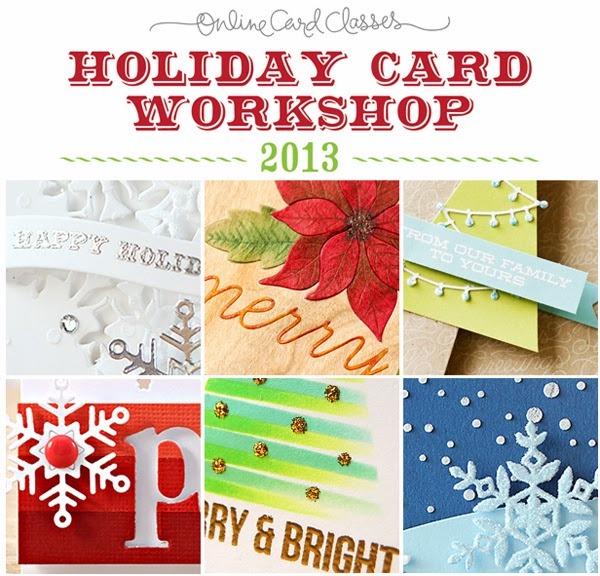 Join instructors Kristina Werner, Jennifer McGuire, Laura Bassen, Shari Carrol, Debby Hughes, and friends for Online Card Classes Holiday Card Workshop 2013! This holiday card-focused class is sure to give you plenty of ideas for sharing the holiday spirit with your friends and family. With over 17 videos and even more cards, go-anywhere instructions, inspiring techniques, a helpful forum, an inspiring gallery, shopping discounts, and giveaways galore, this class is truly the pre-holiday gift that keeps on giving. The holiday magic starts on November 11, 2013 - we hope to see you in class! For more information, visit Online Card Classes. For your chance to win a spot in class just leave a comment on this post by Thursday, November 7th at Midnight CST. The last years class was wonderful, so I have high hopes for this year as well. Can't wait to see all of the cards you guys created. Thanks for the chance to win! Never taken an on line class and the list of instructors for this one is awesome. Thanks for the chance to win. These classes are awesome...thanks for the chance to win a spot! i would be so pleased to win a spot - these classes are always so great!! Yay! Glad you’ll be contributing in the class! This would be such a fun class!!! sounds a lot fun and inspiration. Thanks for the chance to win. I'm really looking forward to this class, can't wait! A Christmas Card class - would love a spot! Thanks for the chance, Kelly! I would be delighted to win a spot in this class! Thanks for the chance! Would love a chance to win...thanks!! Such a great lineup of instructors! Would love a spot in the class! Wow! What a great deal! This class looks great...I am so glad I somehow surfed here and found your blog. Thanks so much for the chance to win a spot. I would love to win a spot for this class. Love all the classes, I would be delighted to win this one! Such beautiful samples! Thanks for the chance! Would be very happy to win such a fantastic class ! Thanks for the chance ! This is going to be a great class. Would love to win a spot...thanks for the chance. Ohhhh how I want to be a part of this class so badly! Yes please!!! I would love to have a spot in this workshop. One of my favorite cards apart of birthday ones are christmas cards. The online classes are wonderful and I would love to win a spot. Thanks for a chance! Can't wait for class to start! Thanks for a chance to win a spot! Love these classes. Hope to see some of your work! thanks for the chance Kelly! I would love to win! That sounds amazing! I would love to win a spot in this class! That sounds fun, thanks for the opportunity! This class sounds wonderful! Thanks for the chance to win! Merry Christmas! I am already signed up but I would still love the chance to win ^_~ Thanks! I would love to win a spot in this class! Thanks for the chance to win! Love to win a spot in this class. Thanks for the chance to win. This class looks like so much fun. I always love learning new techniques. I'd love to win, that would be my first class !! I have taken 1 of these online card classes and it was wonderful. Would love to win this class. Pick me!!! Please!!! Thank you for the opportunity. I have already signed up, but would love to win a spot in this class. Thanks for the chance to win. yes! such a great class!! thank you for the chance to win a spot! What a great way to get inspired to start Christmas card making! Thanks for the opportunity! would love to try the class! thanks. Ah, I could use some inspiration right now. Thanks for the chance to win what is sure to be an awesome class! Thanks for the chance to win a place in the class! The sneak peaks look amazing! Hi, I like your post very much. Beautiful cards. Amazing pictures. Online Card Classes Giveaway Winner!